When Broadway diva Veronica Cagney is caught with the smoking gun over her dead husband, the private eye she hired pulls out all the stops to protect her in this 1940s noir inspired novelette. The fun really begins when the detective starts to piece together a puzzle of intrigue and murder as he finds himself involved with a gangster, the local sheriff, and the beautiful mistress of the victim. A fun little who-dunnit for a cold winter's night. PMP Study Guide - PMP Audio Study Guide - Project Management Professional Exam Study Guide: Be Ready for The PMP Exam! Good story line, nice imagery making it easy to follow. The narration is great, love the distinction of the characters with the different tones and accents. 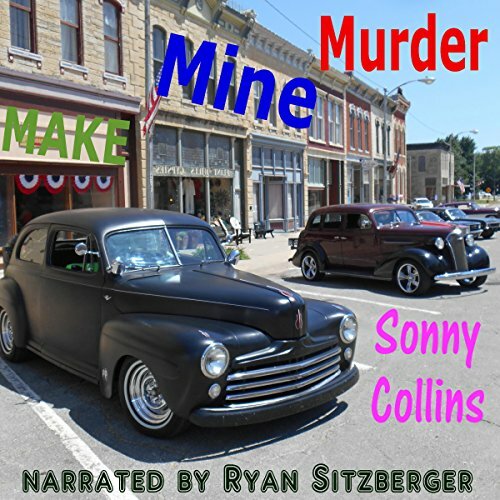 The characters stand out in the audio, making it easy to imagine the story as its being told.